Kashira is a province (uezd) of the Tula government (guberniya), Russia. Original Russian writing – Кашира, German – Kaschira, English – Kashira. 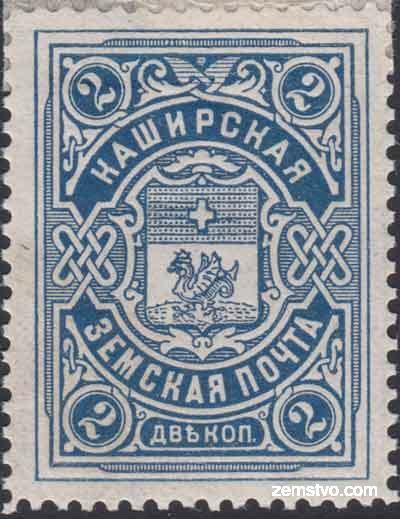 The postage stamp was issued in 1907 year by Saint-Petersburg’s the Expedition of Storing State Papers (Экспедиция заготовления государственных бумаг or ЭЗГБ). Ardatov type design. The postage stamp was in circulation from June to October 1907. The total print run was 420 sheets containing 10,500 stamps (5×5 sheets) and only 2413 were used by Kashira’s zemstvo post offices. 1910, incoming postcard from Pokhvistnevo (Samara Gub. 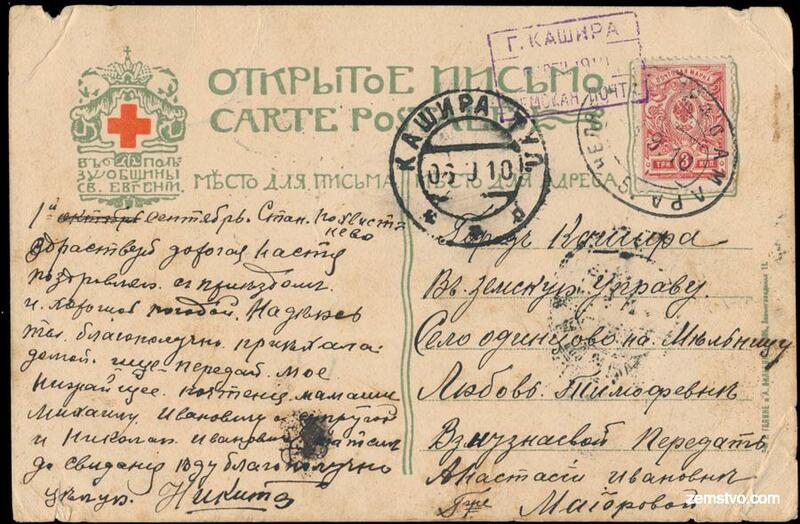 ), franked by Imperial 3k red, posted into the mail on TPO “Chelyabinsk – Samara”, postmarked by Kashira date stamp upon arrival, forwarded to volost Odintsovo, where three-line violet boxed zemstvo marking was applied. 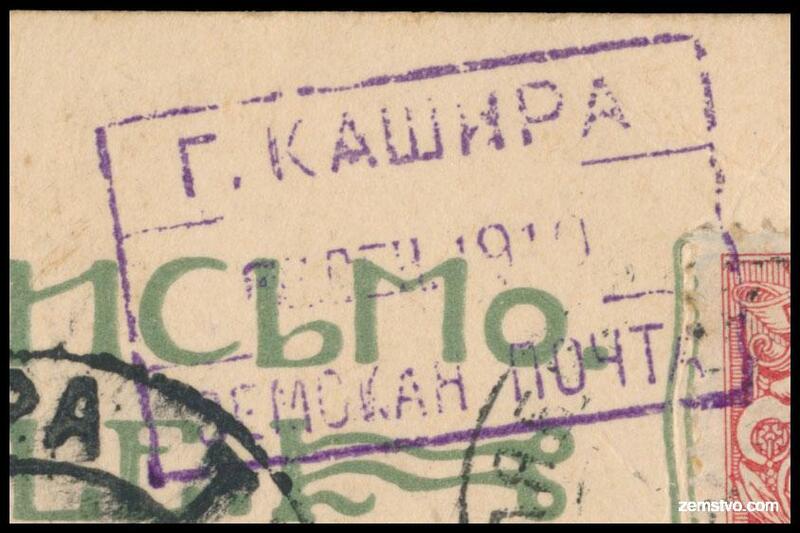 The rectangular 27.5×11 mm violet calendar zemstvo postmark.